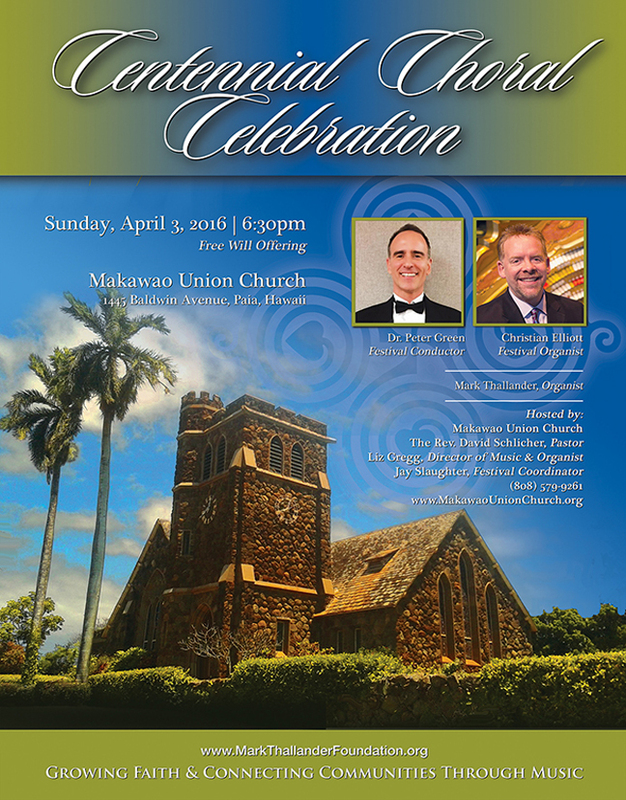 The Mark Thallander Foundation is pleased to announce that the Hawaiian Islands Choral Festival will be held at 6:30 p.m., Sunday April 3, 2016 at the Makawao Union Church in Paia, Hawaii. The Mark Thallander Foundation is pleased to announce that the Hawaiian Islands Choral Festival will be held at 6:30 p.m., Sunday April 3, 2016 at the Makawao Union Church in Paia, Hawaii. This uplifting celebration will mark the centennial of this historic worship center. Watch for more information to come!